Alan Clifton is a real estate finance and management expert with more than two decades of experience. As Chief Operating Officer for Passco Companies, Mr. Clifton is responsible for negotiating and securing financing for both new acquisitions and maturing asset loans; overseeing Passco Property Management, Passco Management Services and Passco Equity Partners; participating in company asset acquisitions and disposing of select Passco Companies Development assets. 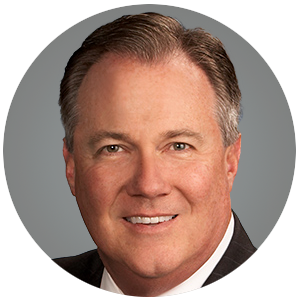 During his career, he has also served as Divisional President of BayHarbor Management Services, Founding Partner of Service Plus Financial, and General Manager for Orange and San Diego Counties for CarrAmerica Realty, a multi-billion dollar NYSE traded national REIT and Director of Leasing and Property Management for In N Out Burger’s corporate headquarters. Mr. Clifton holds a bachelor’s degree in Economics from the University of California, Los Angeles (UCLA). He is a Certified Property Manager (CPM®) and a licensed California Real Estate Salesperson. He is also an active member of several industry associations, including the International Council of Shopping Centers (ICSC), currently serving as the Western Division Operations Chair, the Commercial Real Estate Development Association (NAIOP) and the Mortgage Banker Association (MBA), as well as a former board member of the Institute of Real Estate Management (IREM) and of the Building Owners and Managers Association (BOMA).